Democrats in Fort Wayne's 6th District will still be able to cast a vote for Glynn Hines, who has represented the district on City Council for the past two decades. But Hines, who was planning to retire from the council until a kidney transplant restored his energy level, filed at the last minute as an at-large candidate. Three Democrats are running for his 6th District seat in the May 7 primary, and the winner may be unopposed in November: No Republicans have filed to run in the heavily Democratic southeast district. 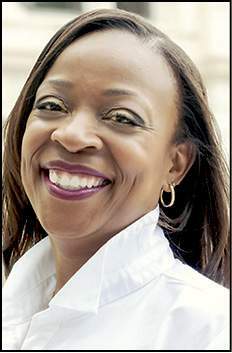 Sharon Tucker, a well regarded County Councilwoman who won a second term last year, is the only one of the three to have held political office. The other candidates are Hakim Muhammad, a manager in his family's longtime carpet-cleaning business and a YWCA case manager; and Tom Cook, a self-employed lawn worker and snow shoveler who has unsuccessfully challenged Tom Henry three times for the Democratic mayoral nomination. As it has been for Hines, economic development within the 6th District is a key issue for both Tucker and Muhammad. Tucker believes reducing crime requires “a partnership amongst all players.” The city needs to recruit more police officers from the community and create an atmosphere where witnesses to crimes feel safe coming forward, she said. Muhammad, who has not run for office previously, is an enthusiastic and thoughtful candidate who would bring his training in business and psychology to bear on city problems. Bringing higher-quality retail and good-paying jobs to the southeast side, Muhammad believes, would help eliminate the “void of despair, lack of vision, lack of hope” that nurture crime. City services are the focus of Cook's campaign. He wants to see a stronger police presence in southeast Fort Wayne and argues the district also gets less than its share of such city services as leaf pickup and parking. We endorse Tucker, a consensus-builder with the skill to advocate for her district as well as an understanding of the city's wider needs.